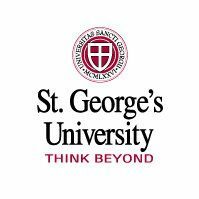 The Green Consortium — a group of St George’s University (SGU) students, faculty and staff dedicated to environmental sustainability, is partnering with about 14 local entities including homes, churches, supermarkets, vendors, and institutions to assist the Grenada Solid Waste Management Authority (GSWMA) in its waste management initiatives. The entities include: Grand Anse Playgroup, Grenada Sickle Cell Association, Bel Air Home, Island Water World, Woodlands Recycling Center and the St George’s Seventh Day Adventist Church. Household goods, furniture, glass jars, bottles and items that would otherwise be sent to Grenada’s lone landfill, can now be reused or recycled for use in entrepreneurial and cottage industry initiatives, through the local entities and the consortium — essentially turning trash into cash.